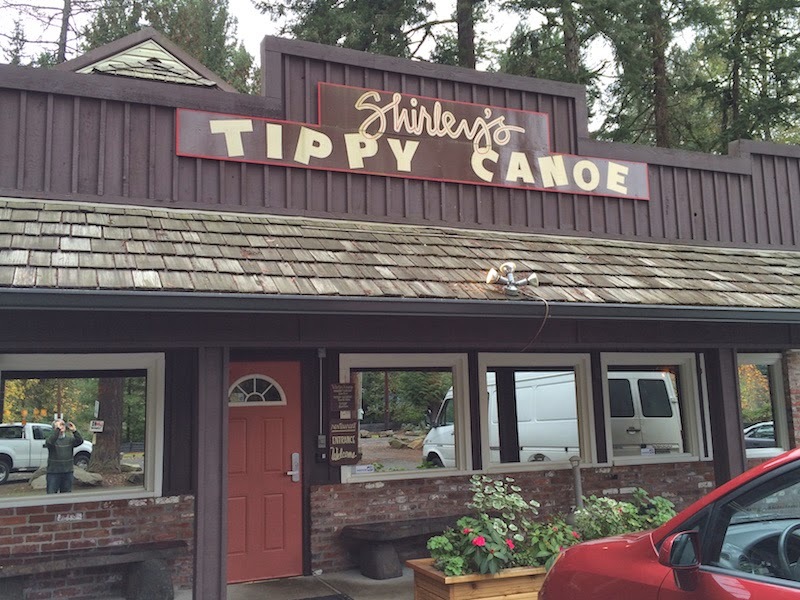 Shirley's Tippy Canoe is a bar & grill on the banks of the Sandy River in Troutdale, Oregon (about half an hour east of Portland). 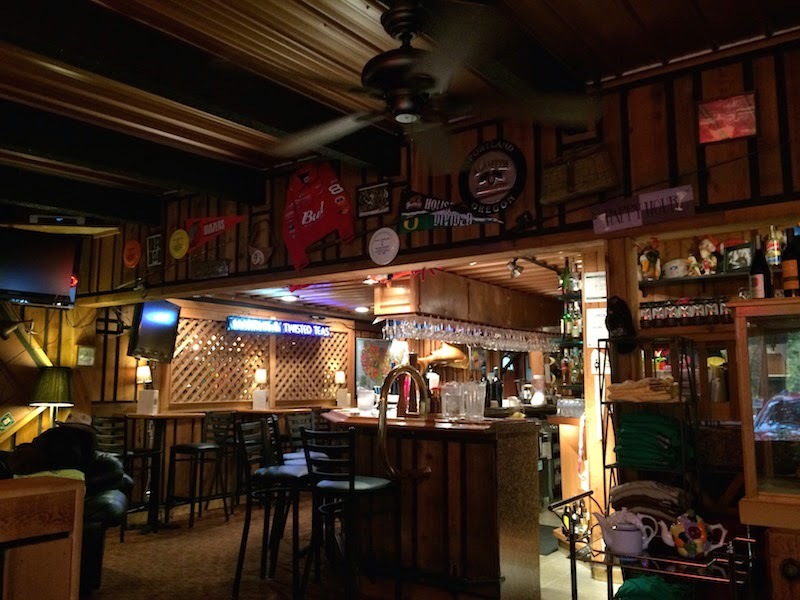 Located in a big lodge, there is plenty of parking, seating, and space at the long bar that seems to wrap around the entire restaurant. There's a cozy fireplace for the cold winters. There's a lot on the menu and several specials of the day. I went yesterday and tried the breakfast, and my friend had one of the lunch specials. 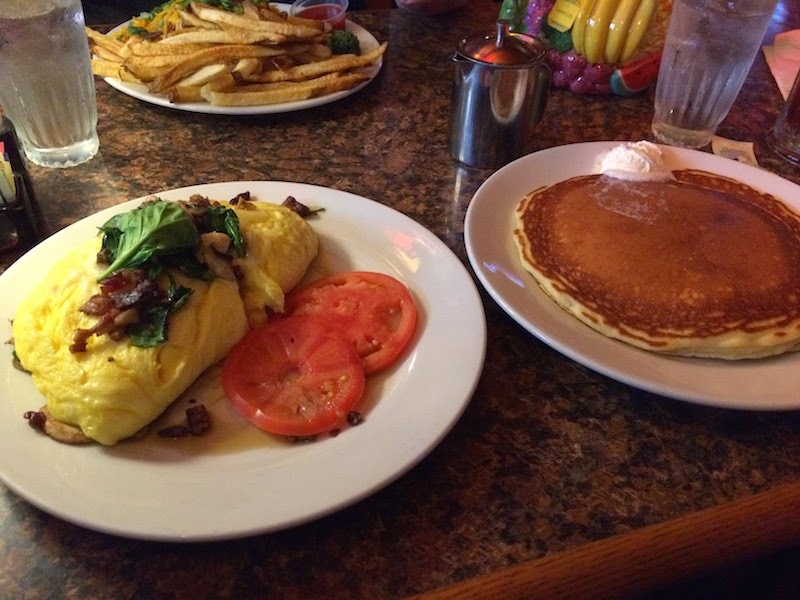 I had a spinach and cheese omelette which comes with pancakes. Despite arriving hungry and it being nearly lunch time, I still could not finish all of my food. 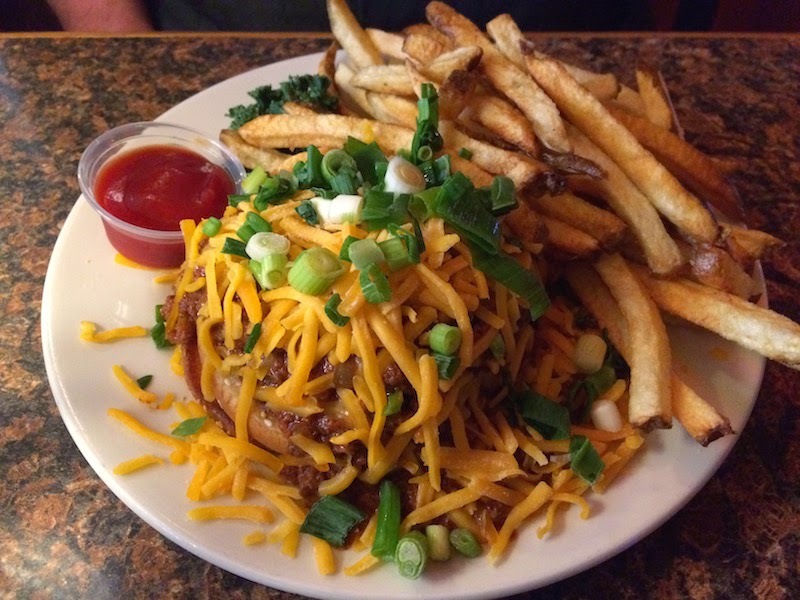 My friend had the sloppy joe, which is different from the standard fare. It's more of an open-faced burger: a whole patty on a bun covered with a tomato-based sauce. It comes with fries with skins. This is the dish Guy Fieri featured on DDD although my friend disagrees since the sauce was not all that interesting, the cheese wasn't melted, and the fries were soggy. Shirley's is really good bar food, even it is a little over-priced. I'd like to come back on a warm summer afternoon and sit out on the patio enjoying a beer and some grub. 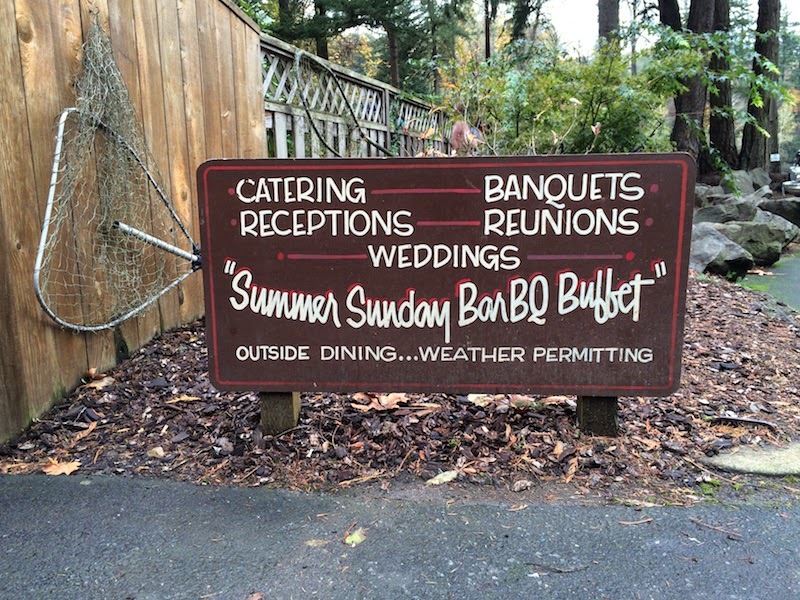 This is one of those places where you might not want to make a detour just for the food, but for the overall experience it's worth it. 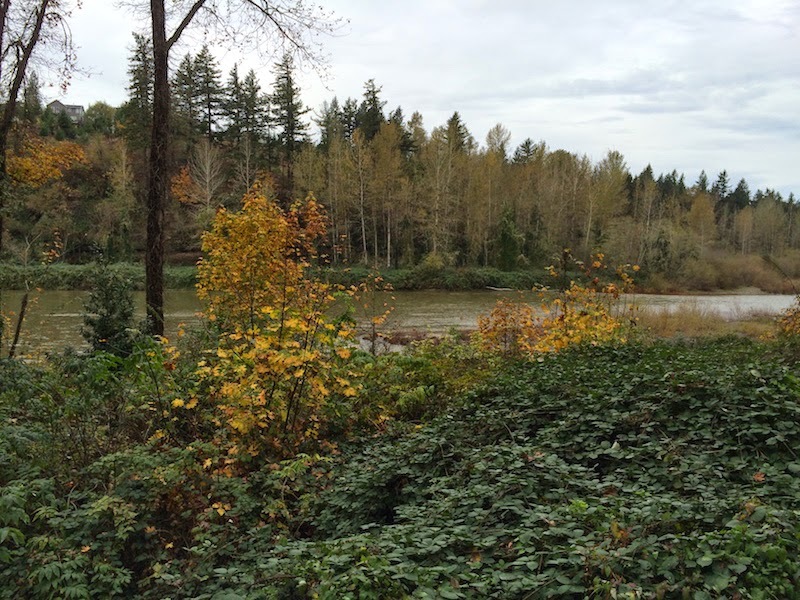 If you decide to go, there are a lot of scenic highways you can take so enjoy the farms and trees on your way there. 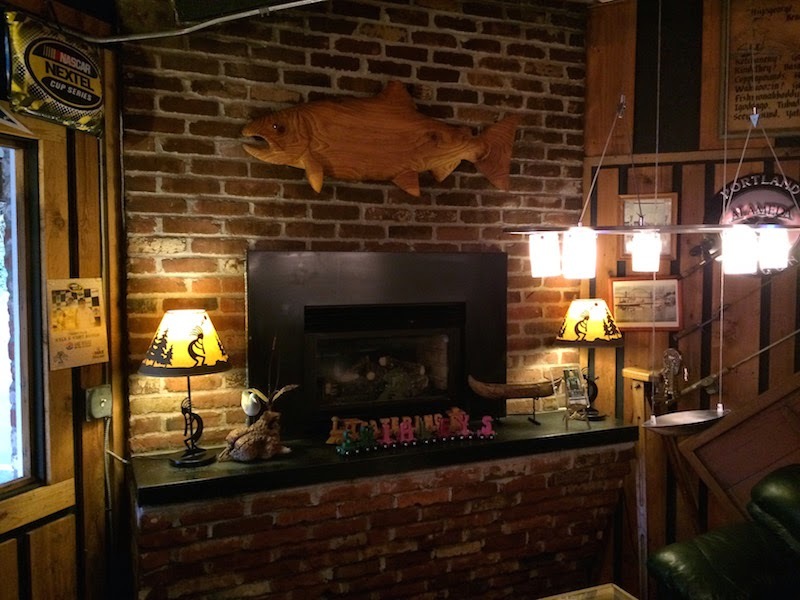 Shirley's Tippy Canoe is a place on an episode of Diners, Drive-Ins and Dives from last year. What do you think of Shirley's? Are you planning on going there? Let me know in the comments below. Also the drive out to Shirley's is very scenic. Hope you enjoy the food at Shirley's and thanks for leaving a comment!